Users often need to complete a card that still has unfinished subtasks. 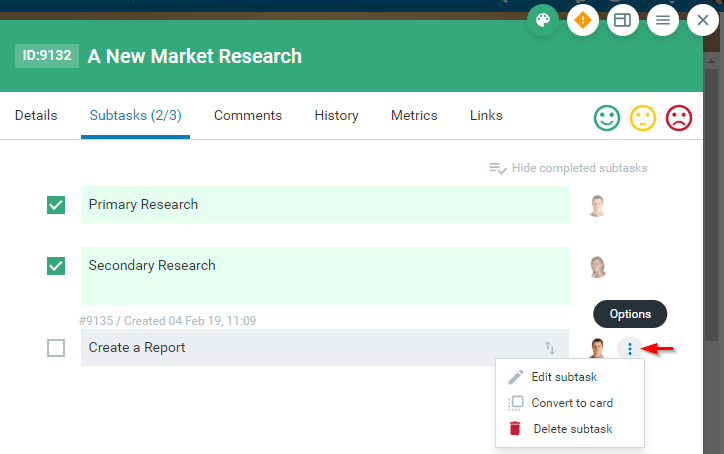 When it happens that subtasks require more time and efforts, users can easily convert them to regular cards and keep the smooth process. 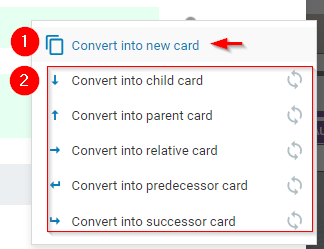 Open the Subtask tab of a card -> hover over the Subtask you want to convert and click on the Options menu (the three dots icon) -> select the "Convert to card" option. (1) Convert it into a new, independent card. (2) Convert it into a new card and link it to the original card as: child/parent/relative/predecessor/successor. The system allows you to sync certain card fields between the two cards. Once you make your choice, the system opens the Board Minimap Tool (img.1) and prompts you to define the new card location. (1) Use the dropdown menu to select the Board and you will instantly get the respective board's workflow mirrored in the tool. 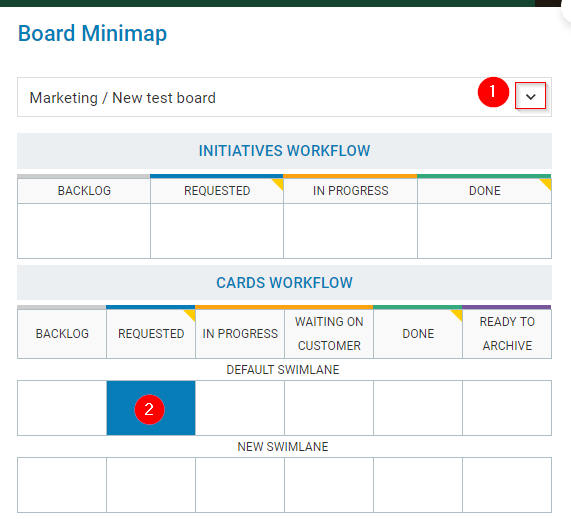 (2) Select the card position in the workflow -> just place the mouse cursor on it. The new card appears on the screen. Its Title inherits the Subtask name. In case that a subtask has an Assignee and Attachments, both properties will be preserved. You can input additional card-related information and Add the card to make it present on the Board. Note: Every time when users convert a Subtask into a card, the system logs entries in the two cards history. What is Card Size and how to configure it?